What do I like about this awesome sound machine? That’s it. The sound is outrageous. It’s got highs and lows. The bass is extraordinary; in fact it will rattle the windows! It’s a nice, clear sound. One does not need distortion. Not ever. Functionality and ease of use is on point for sure. Turn the power button on and bingo! Ready for prime time! Music and podcasting are my modes of traffic, yet this electronic device will accommodate the smartphone calls as well, automatically. I’ve tried it out accidentally and the quality is there no doubt. For around $100 you get the total package. Yes, it seems a bit high for a bluetooth speaker, but as the title states, this is the ultimate bluetooth speaker. You can get one for less money, but it’s not going to be as dynamic as this mobile sound machine. If there’s one thing I wish were different it would be a replaceable battery. A mini graphic equalizer would be nice! What about bass and treble control knobs? Maybe solar charging options? I settled for black but I favor the blue. What color say you? What is a TV Signal Locator? This is a terrific tool which will analyze your location and determine which broadcast television signals are available in your area. Just go to a website called TV Fool, then type in your address to find the available TV channels in you area. To get more information, click on Online TV Maps, and this will give you an Interactive TV Coverage Browser: This is a mapping tool that will let you browse the TV transmitters in your area and see their coverage maps. So many of us thought that when the digital era began that we could no longer receive television as we knew it. We were wrong on that note. A television signal is a television signal, period. A decent antenna will receive the desired frequency and it is that simple. My personal recommendation: 4 Element Bowtie Indoor/Outdoor HDTV Antenna by Antennas Direct. I’ve played this antenna for several years and it’s performed flawlessly. I had to replace an old worn out cable, but this had nothing to do with the antenna. The reception will depend on various factors such as hills, buildings, and location. This is known as Line-of-sight propagation. How far you are from the transmitter is a factor. Obviously, the closer the better. If you wanted a perfect office clock, what would the features require? What makes a good clock for home or office use? Maybe a Digital Battery Atomic Alarm Clock (hito) would be the ultimate office clock, especially one that keeps military time. Operated by 2 AA batteries, a key feature is the auto night light which makes the atomic clock glow in the dark. If there’s a power outage it will not matter. That’s certainly a nice feature. If military time is important, this one offers that capability, even if it not represented in the description. Trust me it works. The large, easy to read display is the kicker. Large numbers in the room. Anybody can read this giant display, and the top button conveniently turns a light on in the night, for a quick reading. Now that’s nice. Who doesn’t appreciate an atomic clock which keeps perfect time even during a power outage? How good can it get? This palm-sized device also displays the month, date, day, inside temperature, and digital second hand. All this in one package. I couldn’t think of a nicer gift to hand someone and see them satisfied, especially if the other party is into gadgets. And who isn’t these days? Yes, some say that analog radio is no longer functional and I get it, but for this price I can afford to have ham radio fun. The 144/440 MHz. Dual-Band activity isn’t what it used to be, but this radio is still a bang for the buck. The antenna that I tried has the Diamond (RH77CA) brand on it, and I’m telling you it owns up to the brand name. No doubt about it. I now highly recommend the Diamond brand. The Diamond RH77CA comes with BNC connection and it pops on real easy. BNC is the way to go for me on the handheld talkie. Reception is absolutely awesome, even though the propagation hasn’t been all that great at times. Weather is always a factor and this is life. Does this antenna pull in the signals! If style and looks is part of the equation and it always is, this antenna passes all standards guaranteed. It looks professional. So the question at hand is this an improvement over the stock antenna? Yes, it is, especially on the VHF end. I recommend this antenna and added it to my collection: Diamond RH77CA Dual-Band Antenna. Have an old smartphone lying around and want to get cheap monthly cell service? I have discovered a way to use my old iPhone 4 with TracFone and I can tell you that it works. If you don’t need one of those costly unlimited plans and just want to use your phone for a quick call home and for emergency situations then a TracFone plan is the way to go. Some of us aren’t addicted to mobile phones believe it or not! I’ll give you the rundown on how I got my iPhone to work with TracFone. At first I went on over to TracFone’s website and shopped for a Bring Your Own Phone plan. Then I proceeded to activate it. It asks “What type of smartphone are you going to activate today?” and I selected the “I’m Bringing My Own Smartphone” option. It then asks if I have a TracFone sim card which I do not. Then they ask what carrier is your phone compatible with? I have a Verizon CDMA model. TracFone prompts you for an IMEI or MEID number for verification purposes. Being that I have a Verizon CDMA model I had to find the MEID number. On my iPhone I went to the Settings app and then to General and About. The MEID was listed there, but the TracFone website would not accept it. Turns out I had to use a MEID converter because the phone lists it in a hexadecimal format and it needs to be converted to a decimal format. I copy and pasted the MEID DEC number and it worked perfectly. I chose the cheapest plan for only $15 a month with the auto-fill option. This gives me 200 minutes of talk time, 500 text messages, and 500MB of data on a monthly basis. Base your decision on how much you will be using it and what you can afford to spend. Be sure to use your local ZIP code during the setup process. Your phone number’s area code will be reflected upon what you enter. After your purchase is finalized you will need to call *22890 using your phone’s keypad. You will need service during this process. It took about half a minute until I received a text message from TracFone which gave me a designated phone number. I put in the wrong ZIP code and had to chat with TracFone’s customer service to get my number changed. If you would ever like to change your phone number you will need to get in touch with TracFone’s customer service via phone or chat (the chat option gives you a human being). You will have to call the *22890 number again to get your new number to activate on your phone. The real cause of heartburn may not be what you think it is. We are constantly being bombarded with endless commercials claiming that too much stomach acid is the culprit. The acid is squirting up out of the stomach. Let’s explore. What if too little stomach acid is the real cause of acid reflux? Is it possible that you’ve been led down the garden path once again? Is this another medical mistake? The medical community will suggest to use the anti-acids or PPI’s to put out the flame. Yet, they do not tell you that longterm these medications may be harmful to you. Yes, they may be harmful to you in the long run. Dare I say it again. A natural approach to health may apply once again. Are there natural remedies that might benefit the overall being? We must be magnanimous toward the one’s that misguide us. I once read an article where a patient told how he cured himself just by losing weight. There must be some validity to his story. Being overweight must put pressure on this vital area. Losing weight will become a good start to getting rid of the burn. This alludes to changing to a better diet. Instead of all the processed foods, we begin to eat healthy raw foods, i.e. vegetables and fruits. Our grandparents got this one right. Essentially, some of us need MORE stomach acid instead of reducing it, especially as we get older. How to increase stomach acid? A typical adult human stomach will secrete about 1.5 liters of gastric acid daily. Gastric juice is a variable mixture of water, hydrochloric acid, electrolytes (sodium, potassium, calcium, phosphate, sulfate, and bicarbonate), and organic substances (mucus, pepsins, and protein). So guess what. Gastric juice is our friend and we must help nature instead of fighting it. Another solution is lemon and honey in the morning. Cut a lemon in half, squeeze the juice into a cup of room temperature water and enjoy. A teaspoon of honey can be added or do what I do, just take the honey straight from the spoon. Honey is a good healer and immunity builder. This remedy will help many things, including weight loss. It’s actually a good liver cleanse. Remember, no food for 30 minutes after the lemon drink. A factor many do not understand is one of the ingredients mentioned above—hydrochloric acid—which includes a type of salt—not the commercial grade table salt—-but what is called Pink Himalayan Salt. Pink Himalayan Salt will help increase the gastric juices our bodies require, and will provide us with more of the trace minerals that we need to remain healthy. I put 1/8 teaspoon in a cup of water and drink up. After applying these methods and still no results, it is imperative to lower the coffee intake, or completely cut it out for a brief period. Coffee can wreak havoc on the body if overused for long periods of time. In the past when I had severe heartburn issues, coffee was definitely a big factor. In conclusion, a better diet and exercise will improve the health dramatically. However, there may be another point to make here. What some may refer to as acid reflux, might actually be a condition called a Hiatal hernia, and if this is the case, it can be treated: How to Fix a Hiatal Hernia. We begin with a chilling statistic: 91% of men, and 84% of women, have fantasized about killing someone. Qui es-tu Fritz Haber? The 20th century changes planet earth forever, with a grand scale of war that had never been imaginable. Meanwhile, back on the farm, life was difficult and sometimes bearable. Nationalism brings with it the idea of sovereignty plus a new national identity. What’s the accomplishment that’s so great? Haber is known for developing and weaponizing chlorine and other poisonous gases during World War I. Ironically, it was his discovery of Zyklon B that was used at the Auschwitz death camp to murder Jews and other victims during the Holocaust. This was during World War II. Remember, it should be noted that Fritz Haber’s heritage was Jewish. This means that his inventions helped to kill his own people. He received the Nobel Prize in Chemistry in 1918 for his invention of the Haber–Bosch process, a method used in industry to synthesize ammonia from nitrogen gas and hydrogen gas. Another important discovery was the Haber–Weiss reaction. In January 2012, Radiolab aired a segment on Haber, including the invention of the Haber Process, the Second Battle of Ypres, his involvement with Zyklon B, and the death of his wife, Clara. 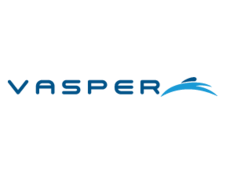 Vasper Technology is designed to stimulate production of natural human growth hormone (‘HGH’) by using a revolutionary patent pending device in conjunction with traditional exercise equipment. The benefits of increasing and maintaining high levels of HGH include increased energy levels, an increased metabolic rate, accelerated post-injury recovery, clarity of mind, restful sleep and many other desirable effects on the body. HGH is produced by our bodies via the pituitary gland when we either perform intense exercise or get a sufficient amount of deep sleep. However, most people do not reach the adequate level of physical exertion or deep sleep to produce a sufficient amount of HGH to replenish and rejuvenate their bodies. Turn your non-Bluetooth TV, computer, iPod, stereo, radio, or MP3 player into a Bluetooth machine with these gadgets. Get your bluetooth freedom and get capability at once. These toys will work with the ICOM IC-7300 HF transmitter. 1. TaoTronics 65ft Bluetooth Transmitter Long Range 3.5mm & RCA Wireless Audio Adapter — Broad 65ft / 20m Working Range: Bluetooth transmitter conveniently streams audio to your Bluetooth headphones or speakers at double the distance than similar devices. 2. NAXA Electronics NAM-982 Handheld Wireless Microphone — Enjoy the freedom to move around without a bunch of dangly cords getting in the way or keeping you tethered to one spot. 3. Bluetooth Speakers — What is your go to bluetooth speaker?